Soaring near the landing airstrip at the El Nido Palawan Airport, I could see that other passengers eyes were glued to the tiny windows in the Air Swift charter flight out of Manila, Philippines. We flew over Mount Mantalingaian, the southern Philippine mountains and were soon dipping down near Palawan Phillippines, El Nido Resorts. I had, as usual, chosen an aisle seat, not thinking about what I would be missing by not sitting by the window on the descent into Palawan, El Nido: gateway to the Bacuit Archipelago and the El Nido Resorts! 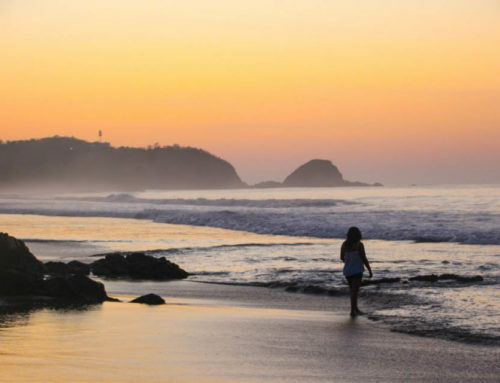 Philippines Tourism is hot right now and I couldn’t wait to find out more. 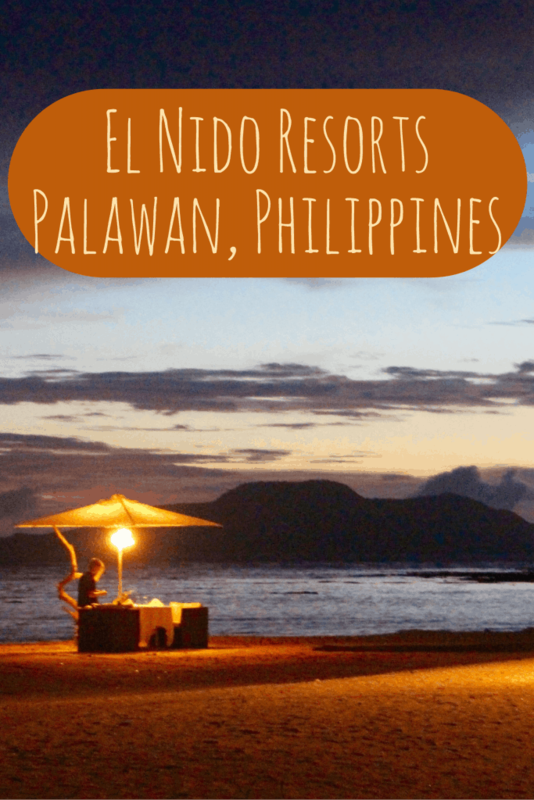 Palawan, Philippines: El Nido Resorts! 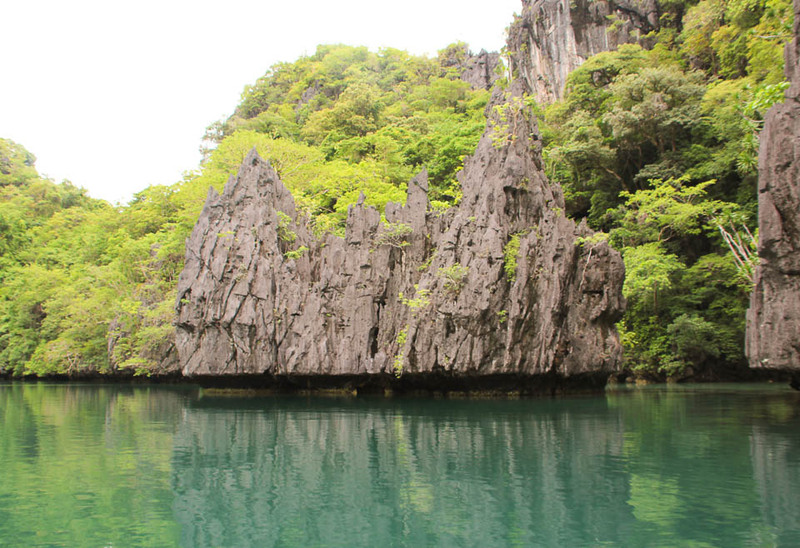 iPhone cameras and video had the passengers, including Instagrammers, capturing the beauty of the Palawan resorts through the oval-shaped window as we landed into a sea of limestone rocks jutting out of the turquoise waters. It is about now that I could kick myself for not sitting in a window seat. 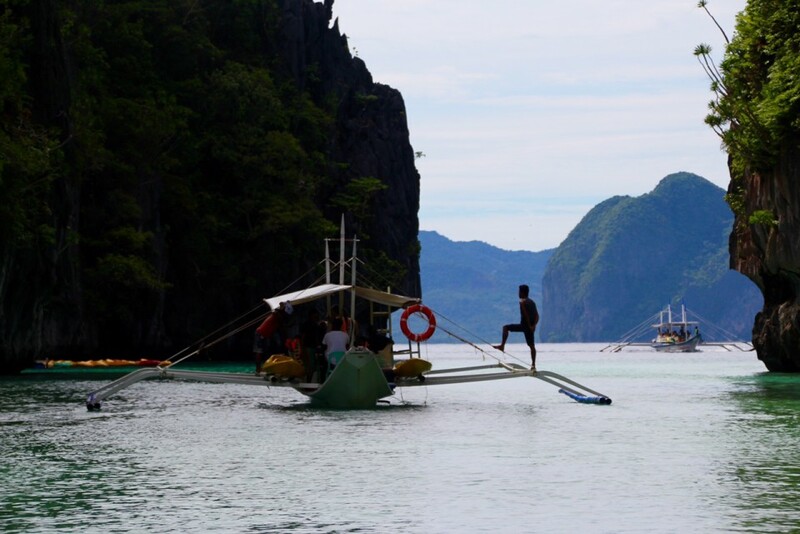 This was about the best I could do from seat 10 c.
Here I was on a luxury trip to one of the world’s most coveted vacations spots, a tiny group of 45 small islands known as Palawan El Nido in the Philippines that back in the ’80s was once a turtle sanctuary. 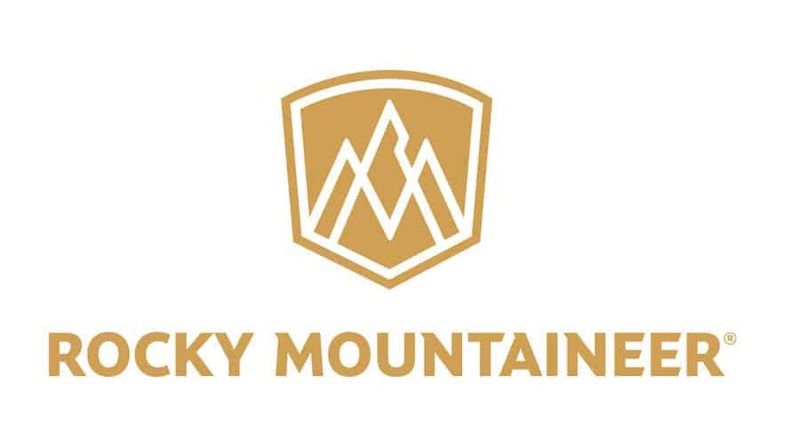 I had heard about this place for years. 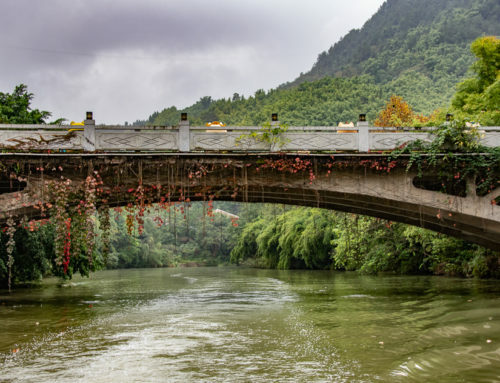 I even remember the full page layout when Conde Naste Traveller Magazine had named this piece of paradise the “best island in the world” (readers choice), and I can remember flipping through the photography-heavy pages dreaming of going there one day. 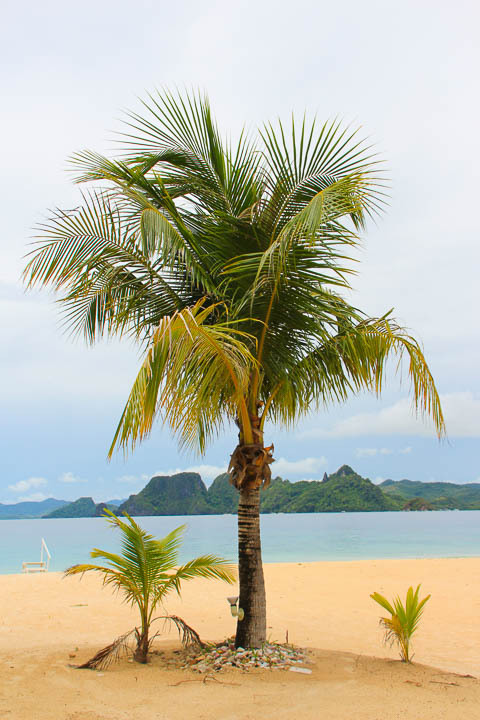 In fact, the Philippines received three spots in the top 20 in 2015 (Palawan, Cebu, and Boracay)! 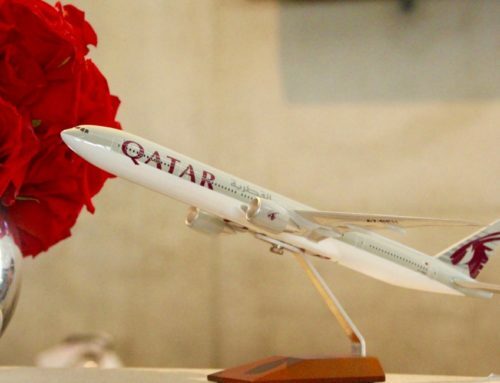 Then when Conde Naste Traveller Magazine did it again for the second year in a row, I knew I had to get myself there! 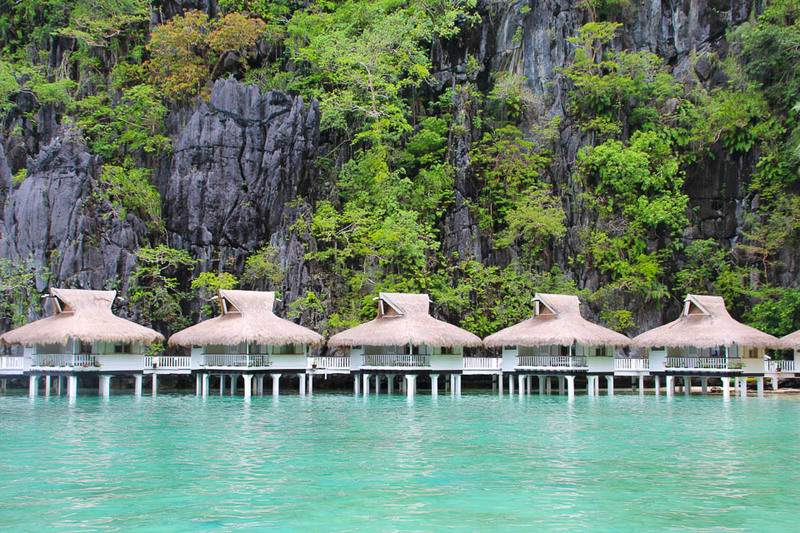 As I said before, Philippines Tourism is hot and these Palawan resorts are even hotter! The wheels of the plane landed quite nicely and soon we were on the Palawan airstrip where the colorfully decorated Jeepney’s, (which are traditional Jeep vans that are seen throughout the Philippines) were waiting to pick us up and take us to a private terminal and passenger lounge until our panga boat (called a Bangka) had arrived to take us to our specific island resort. 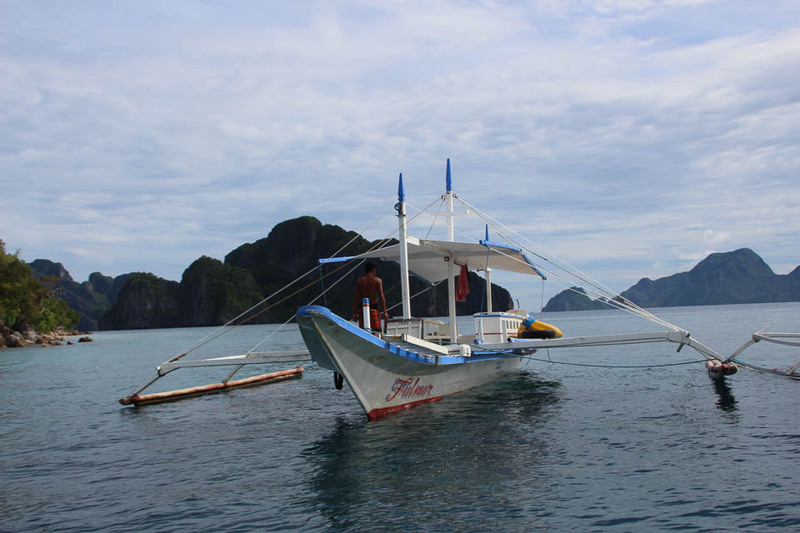 I was on my way to one of the famous El Nido Resorts! 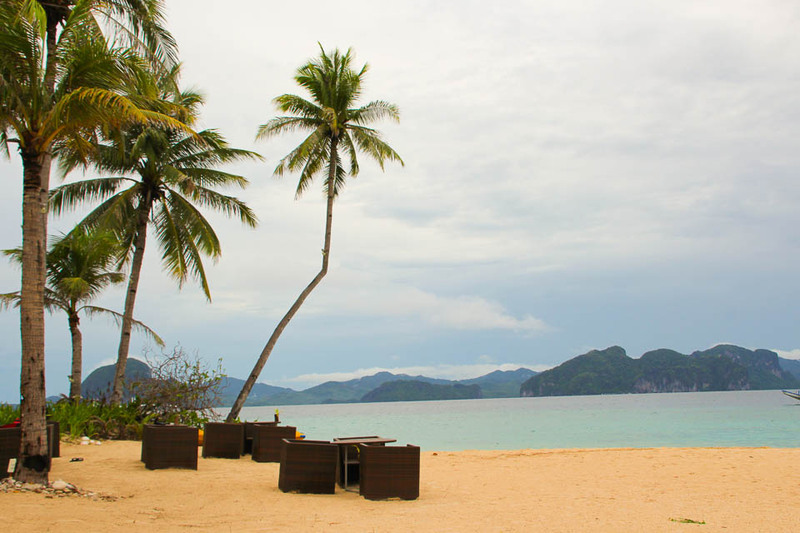 It is one of the most amazing Palawan resorts, so I was excited! 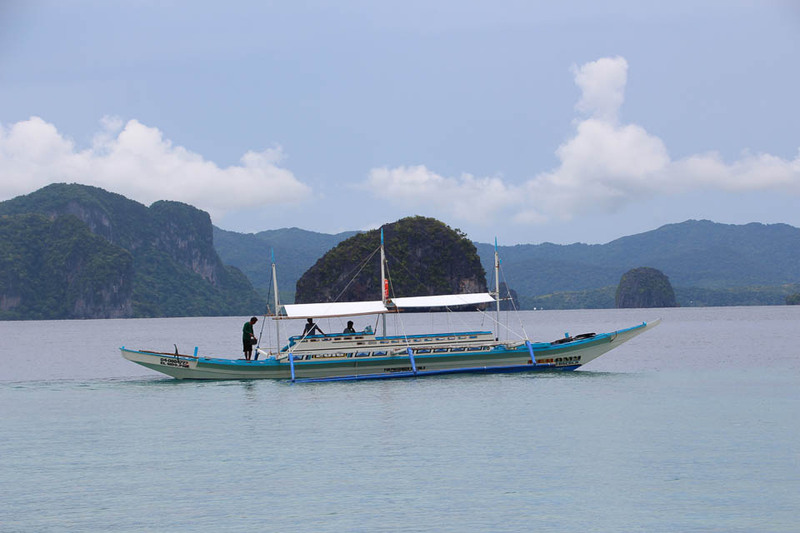 Once we boarded the next Jeepney, I couldn’t wait to reach the Bangka boat to start taking photographs of this gorgeous site, while running ahead of the group to catch the wooden dock to the sea with no one on it. And the views only got better from there as we boarded the Bangka. 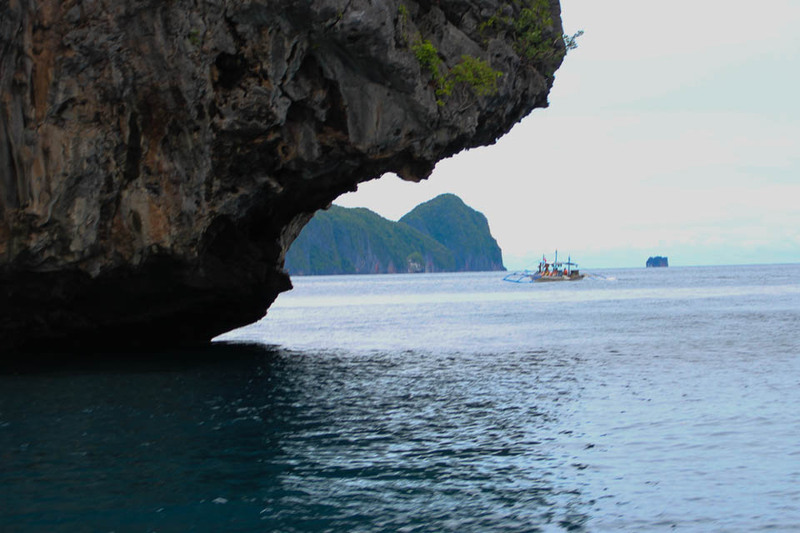 And the views only got better from here as we boarded the Bangka’s with the Banca Boys! 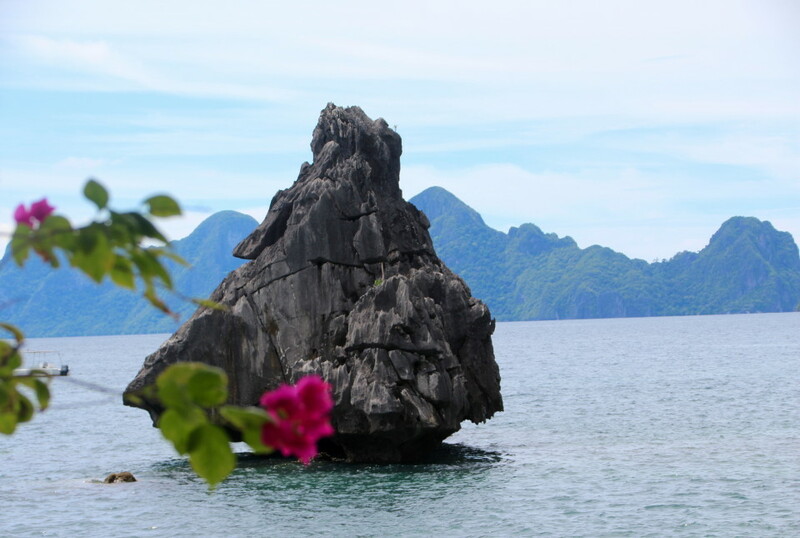 We were on our way to Pangulasian Island (where one of the El Nido Resorts is located), cruising along Bacuit Bay with its limestone rocks poking out of the sea. 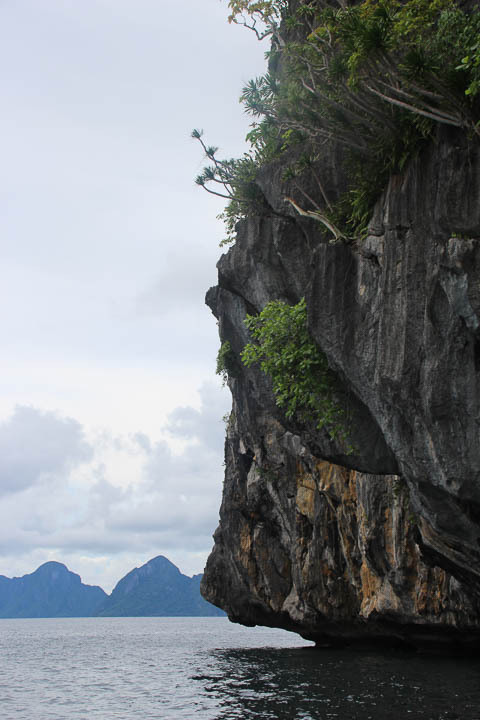 We glided through a minefield of skyscraping limestone cliffs, turquoise waters, and Palawan Islands. Soon I was lost in my own mind finding almost pure joy as I was sitting on the stern of the boat, DSLR camera in hand and happy as a clam. 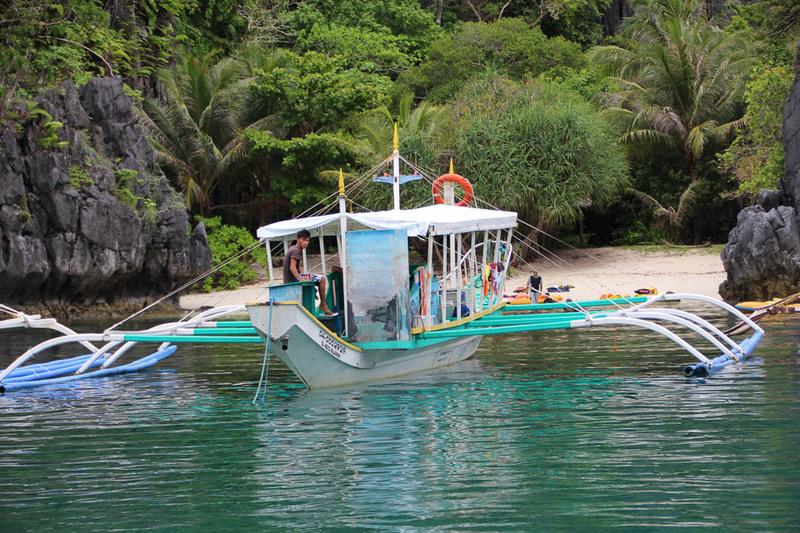 We sailed along for some 30 minutes until we saw a group of smiling faces and waving hands to welcome us to the El Nido Resorts. They were standing on a long stretch of white powdery sand and greeted us with a traditional cold drink. 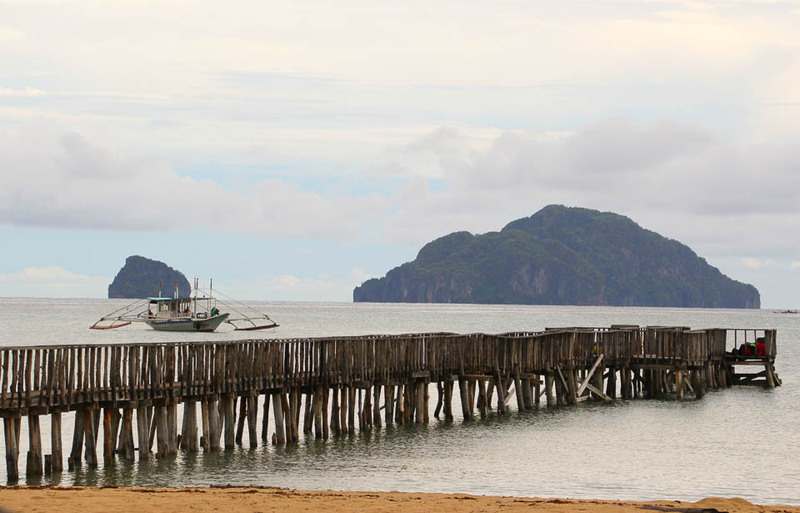 We had arrived on Pangulasian Island, to one of El Nido’s eco-luxury resorts. 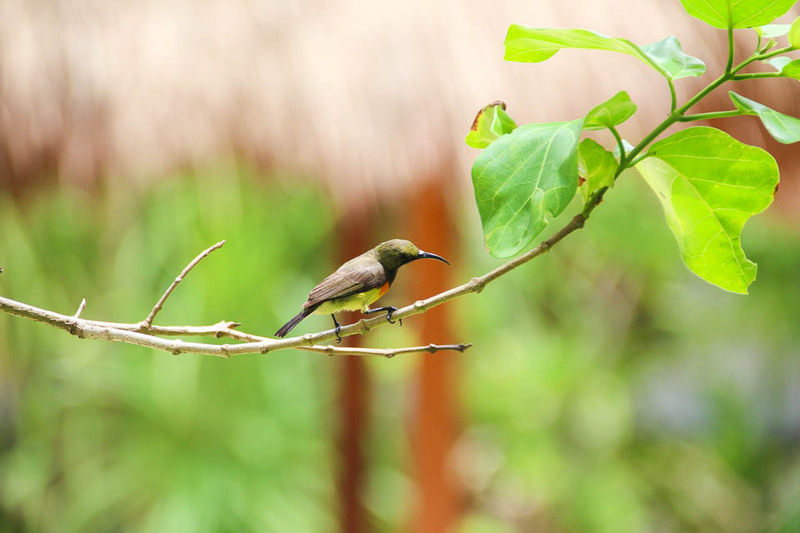 The resort’s setting is a pristine beach set against a backdrop of a tropical forest. 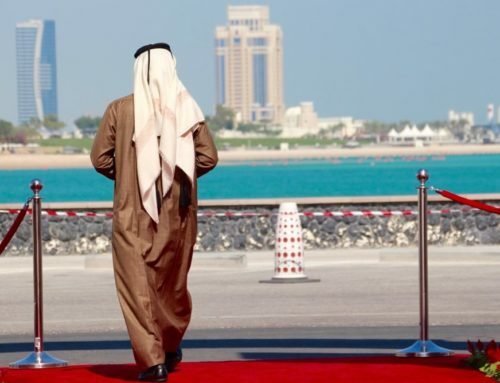 I was tired, as it had been a long day and early morning to get here, and all I wanted to do was go to my beachfront luxury suite and relax for a while. 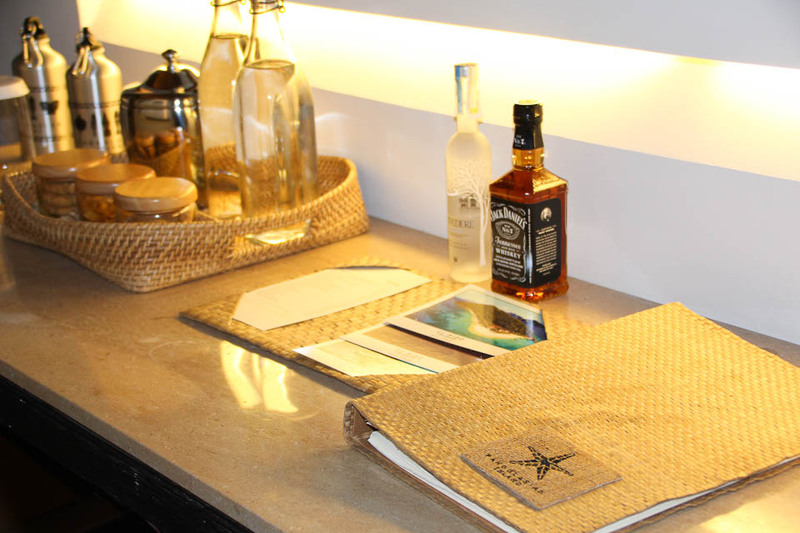 The suite in the El Nido Resorts are gorgeous and have every amenity possible. I put away a few of my things, grabbed a cold drink from the endless choices in the fridge and sat on my bed staring out at the sea. Many days I ponder how I got here and why I am the lucky one to get to experience the world, yet I enjoyed my beach view as a few paddle boarders passed in the distance in front of me. These are the moments I like to sit and reflect and give thanks to those who have helped me on my journey of life. I am overflowing with gratitude and joy for this relatively new career that has been more adventure-filled than I ever imagined it would be. 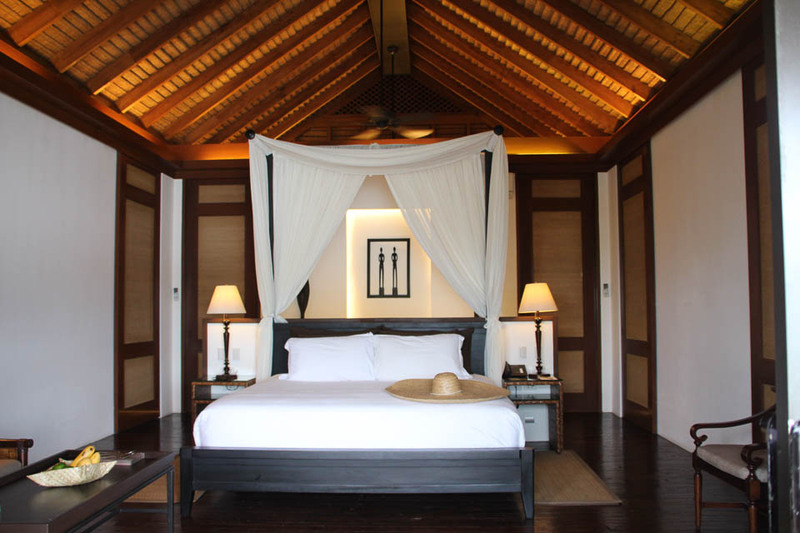 The El Nido Resorts on Pangulasian Island offers 42 deluxe accommodations and they are built like contemporary Filipino bungalows facing the sea with outdoor verandas. 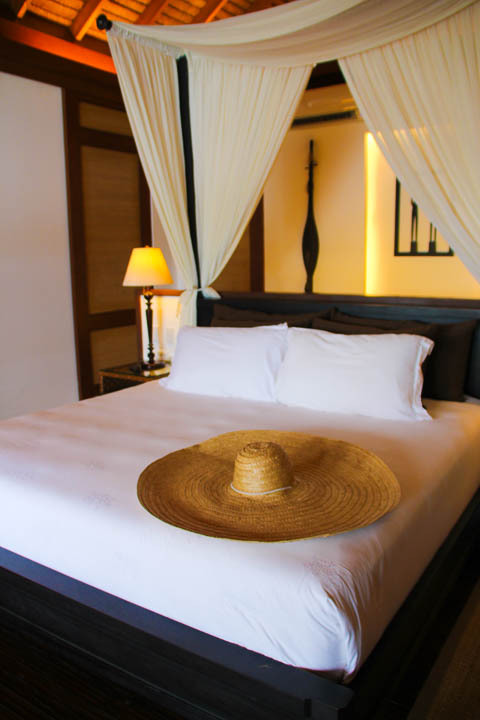 They have a shabby chic “feel” to them with their white-covered patio furniture, flowing curtains, and their massive Palawan-woven floppy hats that are there on the 1000-thread count linens for you to take! 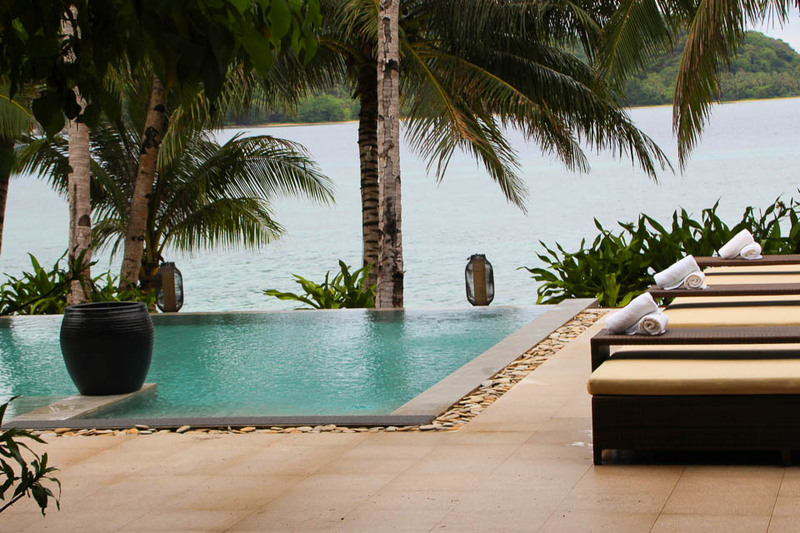 The pool, the grounds, the spa: they are everything you could want or need in the way of luxury. It truly is perfect in the world’s most beautiful island! 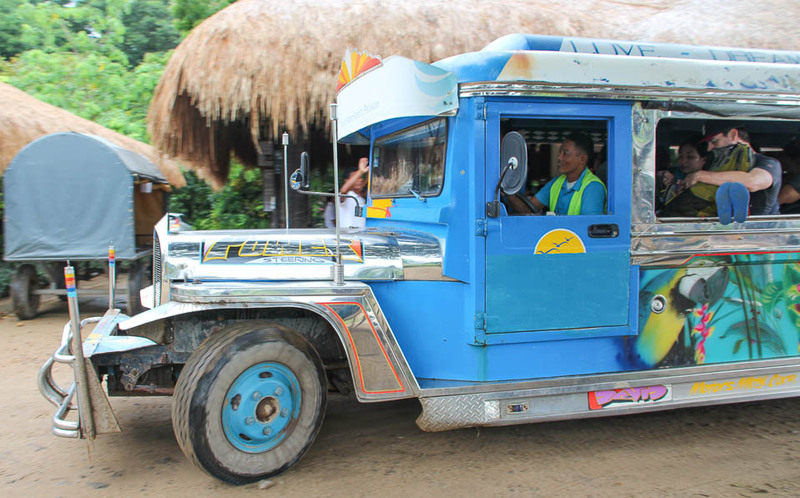 After a quick cat nap, I was off to have lunch on Miniloc Island, where they offer hearty proportions from their Filipino buffet lunch and live music. Then we were off to sail the waters and to go kayaking in the lagoon. 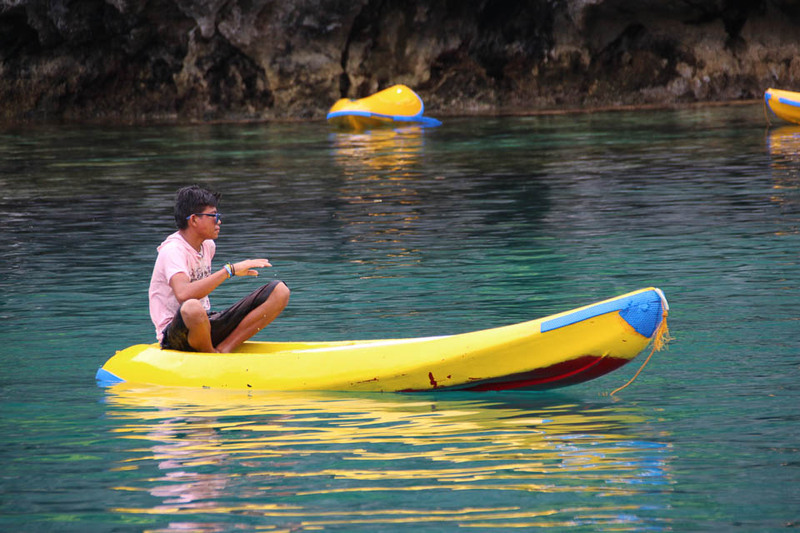 I had remembered my last kayaking adventure in the Galapagos Islands, so I opted out of that activity for the day and just enjoyed the people watching and scenery from the Bangka boat. There were Filipino kids out there that maneuvered a kayak like a city kid does a bicycle. There were even old men kayakers that had refreshments in coolers ready for resale, similar to the days of an ice cream truck in the hot days of summer! Our days and nights were filled with activities, food, and relaxation. 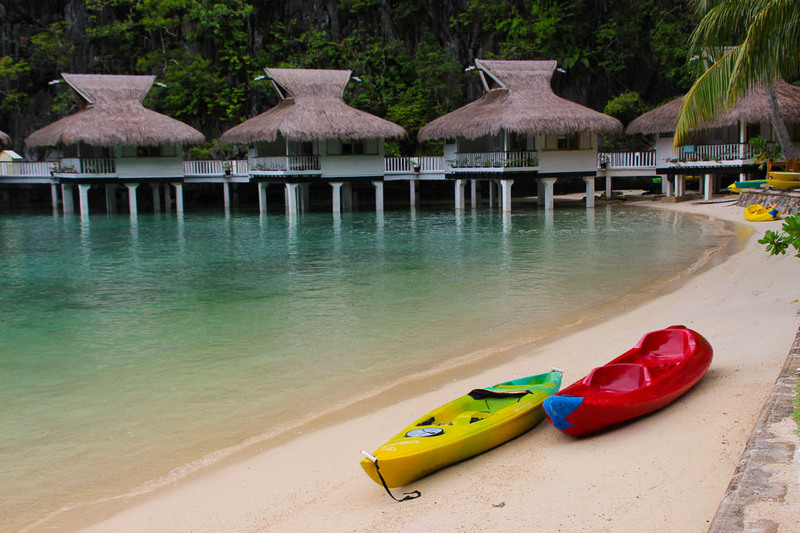 Each day was a new adventure, as we found so many things to do in El Nido resorts. We snorkeled with black-tipped reef sharks right off Pangulasian Island in the local coral reefs. 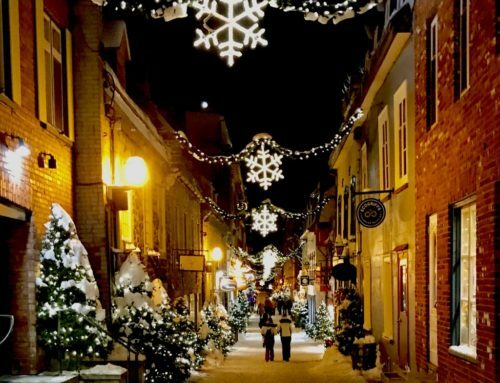 We ate a fusion of French, Spanish and Asian cuisines, we had massages in our rooms for hours, yet also went to the spa. We dipped our toes in the gorgeous reflective swimming pools and even made our way around to a few other islands for refreshing swims in the hot afternoon sun. 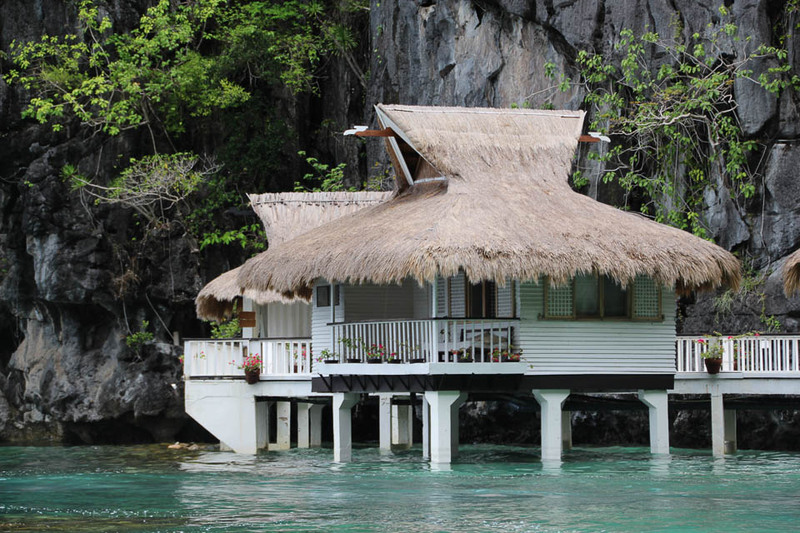 We visited other islands where El Nido Resorts are located, I particularly loved Lagen Island with their over the water bungalows. 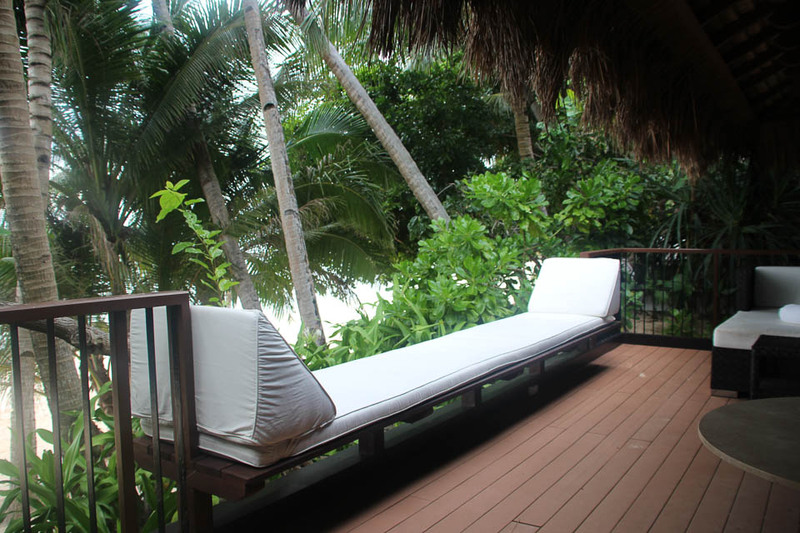 This is another of their eco-luxury resorts. 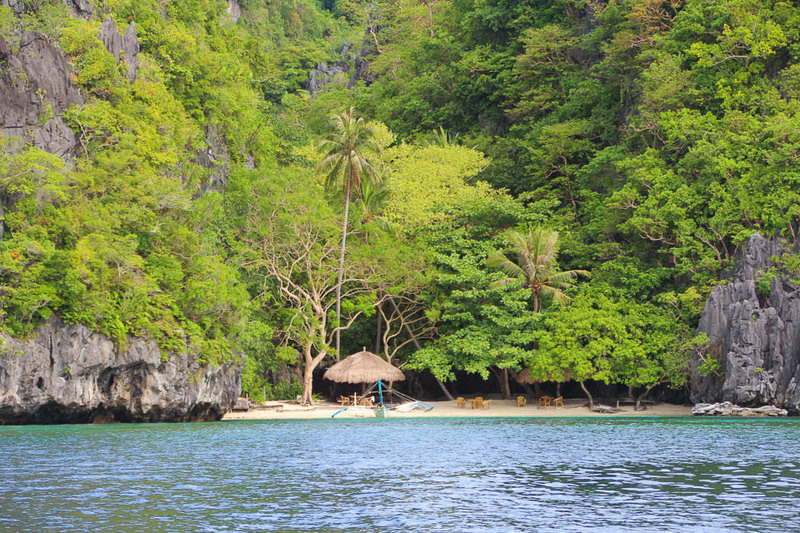 Eventually, we found the secret lagoon, although the tide was too high for us to go in, which is all the more reason for me to return to this paradise: El Nido Resorts. 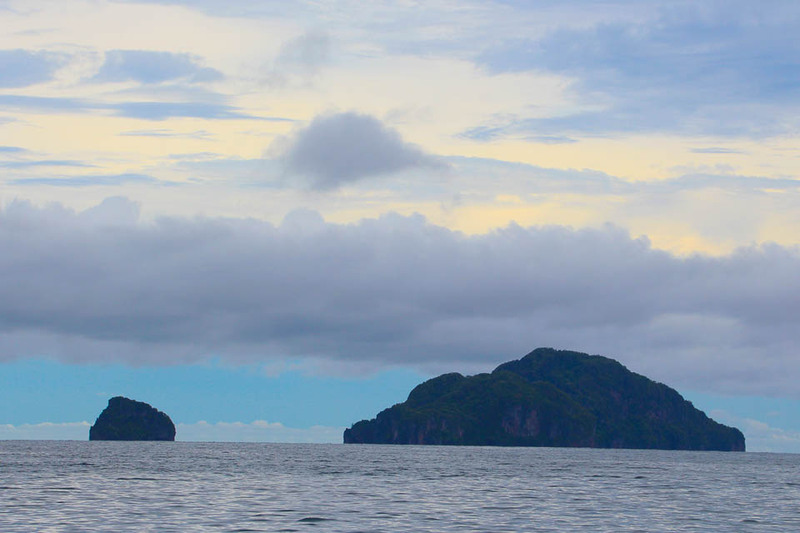 On the last days, we went on a sunset cruise with the sounds of champagne glasses clinking to celebrate our time in the El Nido Resorts and the new friends we had made. Paradise lost, Paradise found. 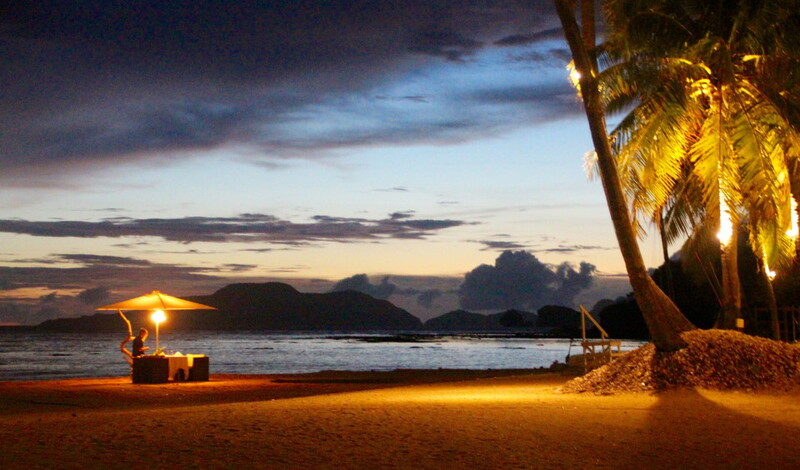 I will be back to visit even more Palawan Resorts!